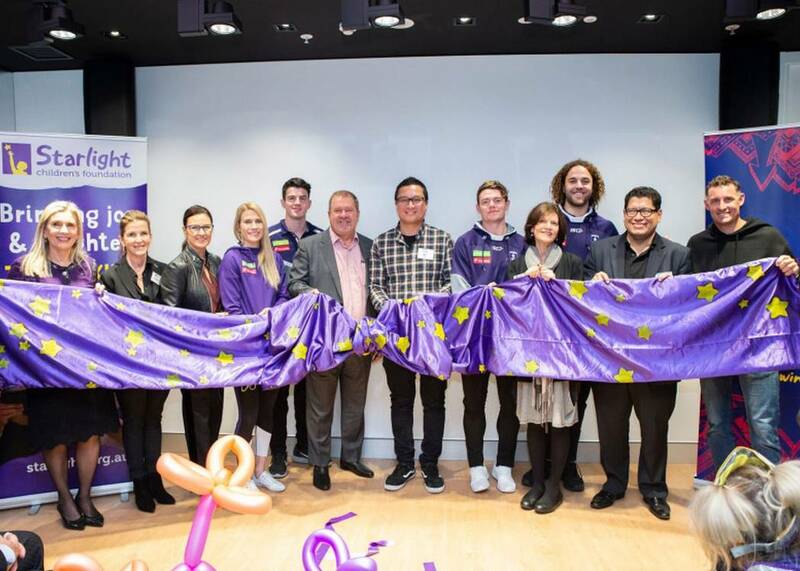 Lotterywest, together with other funding partners and Starlight Ambassadors from the Fremantle Dockers, attended the ceremony which was complete with a fun and playful group stretch and dance led by Captain Starlight! What is a Starlight Express Room? With a mission ‘to brighten the lives of seriously ill children and their families’ the Starlight Children’s Foundation provide unique programs, which include Starlight Express Rooms, to break the relentless cycle kids and their families face when a serious illness or injury overtakes their lives. Each year over 30,000 Western Australian children and families are reached. Lotterywest is proud to be partnered with Starlight since 2006, providing grants totalling over $710,000, including $400,000 towards the new Starlight Express Room at Perth Children’s Hospital. The Starlight Express Room at Perth Children’s Hospital is the only in Western Australia. It was previously located at Princess Margaret Hospital. Lotterywest representatives, including our very own Chair Ms Heather Zampatti, were thrilled to attend the official opening of the Starlight Express Room. “We loved walking through the Fun on Four floor of the Perth Children’s Hospital, in fact the entire building is colourful and inviting,” Ms Zampatti said. Lotterywest has supported two other organisations for projects in the new Perth Children’s Hospital - $1.5 million to the Telethon Institute for Kids for an interactive discovery and learning centre and $300,000 towards a childcare centre fit out including nature play. “We can’t wait to see those come to life!” added Ms Zampatti. Lotterywest support is only thanks to those who play Lotterywest games, with support last year helping to raise $260* million to the WA community. This includes $156* million which was given to the hospitals and health sector. Did you know that Lotterywest is the only State Government owned lottery in Australia where all the profits raised are directly returned to the local community through grants and prizes? That was $723* million for the last financial year! So thanks for playing. You can read more about the where the money went here.